The 885 Ottoman by Franklin at Moore's Home Furnishings in the Kerrville, Fredericksburg, Boerne, and San Antonio, Texas area. Product availability may vary. Contact us for the most current availability on this product. This collection of furniture features a contemporary look with an extra wide scale. 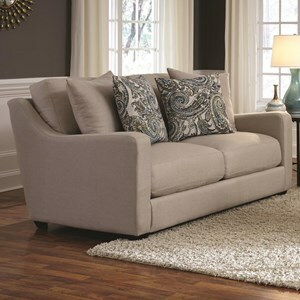 The sofa and loveseat have Comfort Grid Seat Cushion's. This new seat cushion construction creates a sink-into comfort and enhances durability. 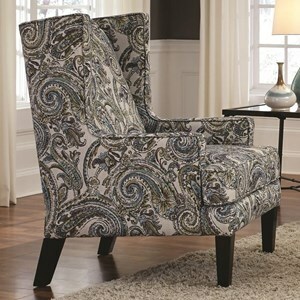 Seat and back cushions are also reversible for convenient cleaning. The 885 collection is a great option if you are looking for furniture in the Kerrville, Fredericksburg, Boerne, and San Antonio, Texas area. 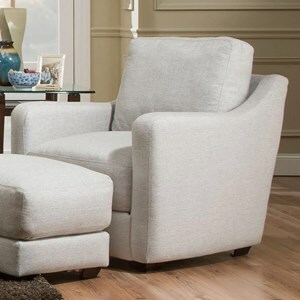 Browse other items in the 885 collection from Moore's Home Furnishings in the Kerrville, Fredericksburg, Boerne, and San Antonio, Texas area.